It’s easy to get caught up in choosing a beautiful cot and change table when planning your nursery set up, but heed our words when we say you must think about storage – after all, where is all the baby’s stuff (and there’s a lot of it) going to go? 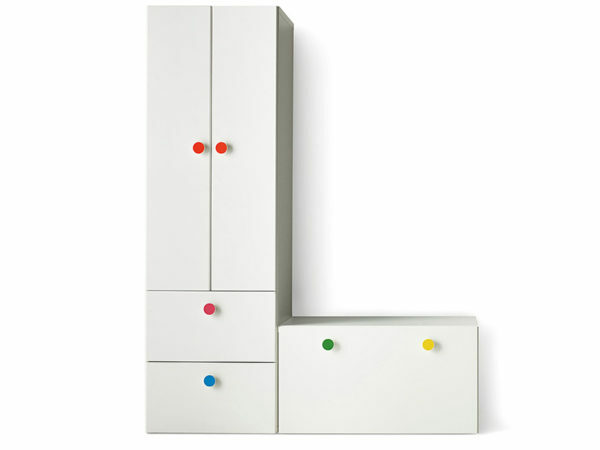 The Knect 3 drawer unit from MuBu with three large coloured drawers with leather handles screams contemporary cool. Designed to sit low to the ground, it doubles as a great night stand. Available direct from MuBu Home, priced $1199. 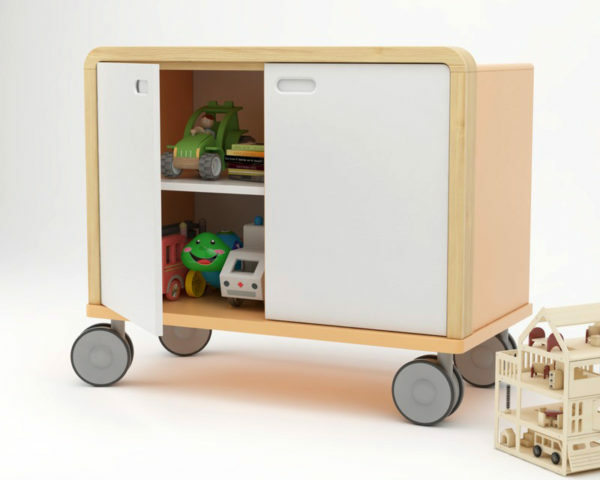 A little bit quirky and a whole lot of cute, the Mobelebt sideboard with shelves is brilliant for storing toys. 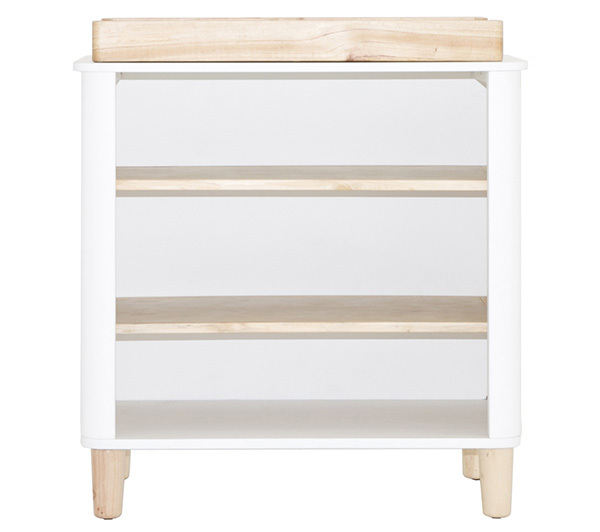 Available in modern white and natural timber or a trove of colours, find out more at Love The Style, priced $964. Torn between shelves and drawers, why not go for both? Shelves are great for grouping gear in baskets as well as displaying toys and trinkets. 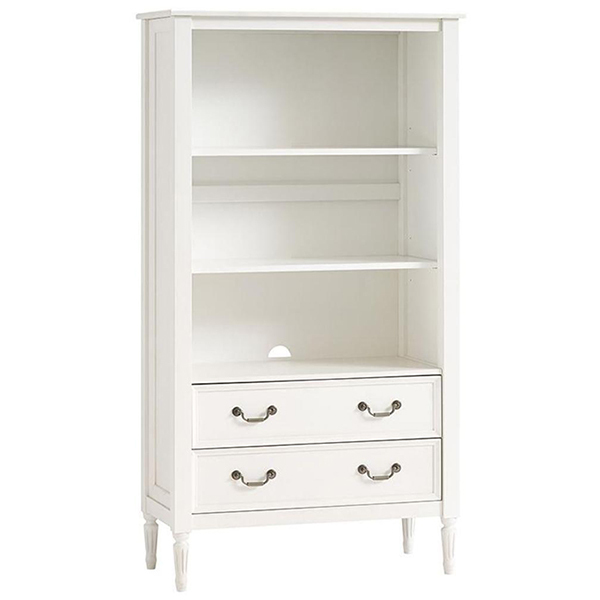 This beauty, the Blythe Bookcase is available from Pottery Barn Kids, priced $1369. You can’t go past a fantastic dresser. 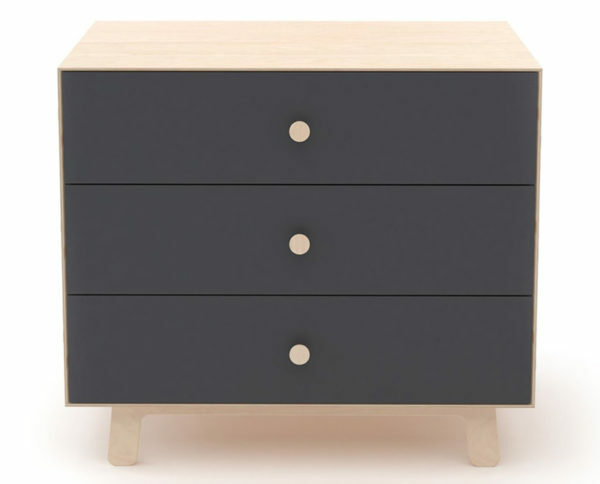 The Oeuf Merlin three drawer dresser has gripped my heart. Brilliant for the bedroom, be it for a tot or a teen. Find it at Kidostore, priced $1399. From Lilly and Lolly, a glorious Tasmanian Oak bookcase containing 12 cubicles, six of them with handy pull out boxes. Fill with blankets, sleeping bags, clothing or toys – just about anything you want to store will fit here! Priced $1650, you can find it at Lilly and Lolly. A long time favourite of mine, the Oeuf mini library. Available in the original style, or the new vertical style, there’s plenty of shelf space for storing your most loved trinkets. 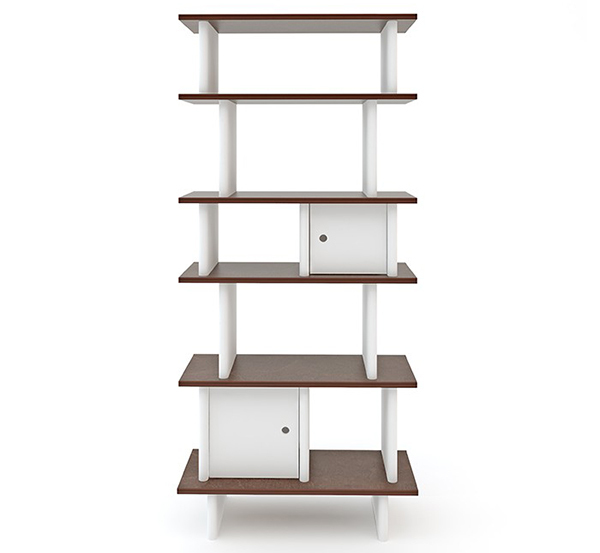 Priced $999, the Oeuf mini libraries are available from Leo and Bella. The Teeny Change Table morphs from a stunning change table set up to a sweet and petite bookcase. The perfect spot for a child’s library of tall tales, you can find this piece at Incy Interiors, priced $399. For serious bang for your buck and storage which you can manipulate, head straight to Ikea. 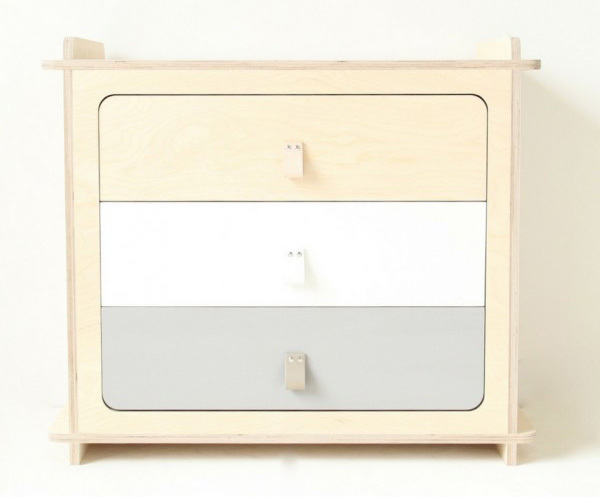 The Swedes have storage in spades and the children’s Ikea Stuva range is a great place to start. Prices start at $99.99 for a storage bench (great for stockpiling nappies!). You might be pleasantly surprised by what works in the nursery, be sure to check local stores for sideboards and squat book cases, there’s practical storage at every turn Babyologists!